2½ hour class. Look, Cook & Eat. In this class you’ll create an abundant and artily arranged grazing luncheon platter that has the insta-worthy wow factor. Create a talking point perfect for parties, where people come together and bond over their love of food. Alongside the recipes, Chef will also share his best presentation tips and secrets. 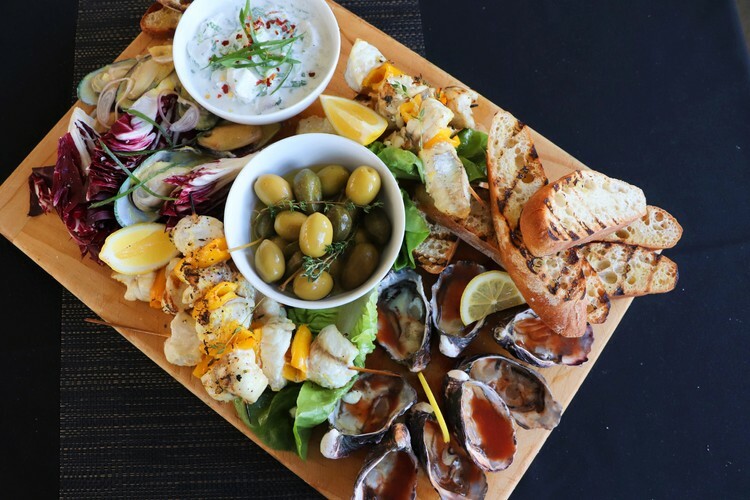 You’ll cook grilled prawns with red pepper aioli, smoked fish pate, fish kebabs & seafood salad served alongside cheeses, pickles and baked sourdough. Bring a friend (or two!) and enjoy the very best seafood New Zealand has to offer. Complimentary beverage on arrival. Bar open from 10:30am. Class starts promptly at 11am.